Nestled against the foothills of the Ramapo Mountains and situated between the Hudson River and New Jersey, Rockland County is just minutes away from the bustling city-life of downtown Manhattan. With a diverse population of approximately 300,000 residents spread across 176 square miles, Rockland County is the smallest county in the state (outside of NYC). Serene small town living in close proximity to one of the world’s most important cities keep Rockland County real estate in high demand. For more information about Rockland County history go to the Rockland Historical Society website. More than 10,000 businesses call Rockland County home. In villages like New City, Nyack, Piermont and Pearl River, Main Street serves as a social hub for shopping, dining and entertainment. Check out the area’s unique gift shops and prized antique stores. One of Rockland County’s premier retail venues is the Palisades Center Mall, located in West Nyack on the New York State Thruway. 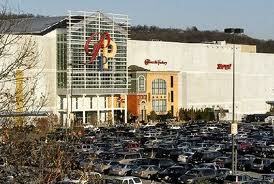 The mall is anchored by retail giants including Target, Lord and Taylor, Macys and Home Depot. It features a 23 screen movie theater complex, a separate twin-screen IMAX theater, and operates a full sized indoor ferris wheel in its food court. This prestigious restaurant rating service lists scores of Rockland County restaurants as worthy of note. Many restaurants in Rockland County carry Zagat’s prestigious recommendation. The county offers a wide variety of culinary choices, whether its deli, casual dining or gourmet cuisine. A few more make the grade as really nice. Visit the Hudson Water Club in Haverstraw for great views and music. Also on the water is the Nyack River Club, a great place for open air lunch during summer time. Opened last year and replacing Pasta Amore is Confetti, an Italian wine bar and bistro. 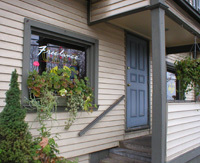 Also in Piermont and featuring a great outdoor dining garden patio is the Sidewalk Bistro, featuring a very authentifc French and American cuisine. And what would Piermont do on Cinco de Mayo without a Spanish restaurant, the appropriately named Tequila, Sal and Limon (Google its meaning if you have to!) on Piermont Avenue over the Turning Point Cafe. With over 32,000 acres of pristine parkland and nature reserves, and a large number of lakes and streams, Rockland County boasts some of the most gorgeous scenery in the country. 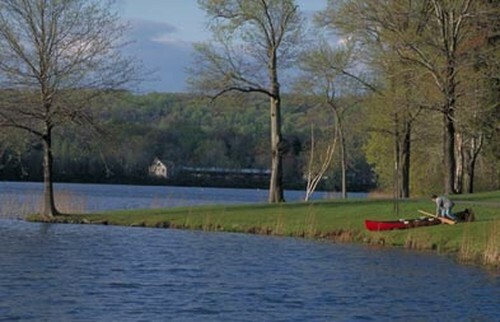 Whether you’re looking to hike, bike, swim, fish, go horseback riding, camp, golf, or play tennis, the parks in Rockland County will suit your needs. There’s even cross-country skiing and ice-skating in the winter! 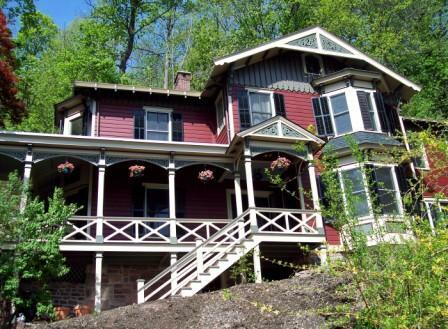 Picnic or paint on the scenic overlooks at Buttermilk Falls Park in West Nyack or walk tulip-lined paths in the Dutch Garden. 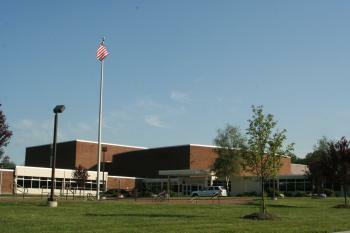 Rockland also offers a wide variety of sports facilities. There are nine public and private golf courses. Four of Rockland’s five towns have public courses, offering discounted rates for local residents. One of the courses, Spook Rock in Ramapo, was named one of the top 50 public courses in the nation. The county offers a myriad of other sports activities, including soccer and baseball fields, tennis courts, bocce, and miles of cycling routes and running paths. For more information contact Rockland Tourism‘s website. Just 12 miles north-northwest of New York City, Rockland Country real estate features scenic lots and gorgeous housing in the heart of small, friendly towns and villages. Rockland County includes five towns and 19 incorporated villages. 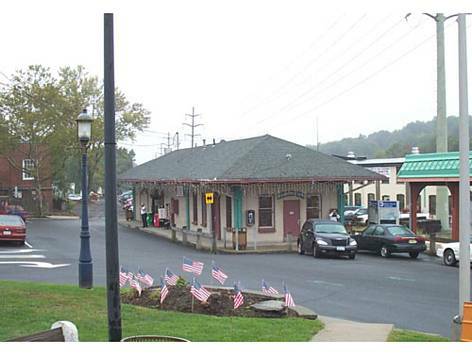 Clarkstown was named by CNNMoney.com in 2010 as one of the nation’s best small “cities” in which to live. In 2000, almost three-fourths of the residents of Rockland County owned their own home, with the median home value being $242,500. For those interested in the area’s active gardening culture, we suggest visiting the website for the Rockland Farm Alliance, a coop promoting micro-farming and agricultural programs for young and old alike. For those not patient enough to wait for the tomatoes to ripen, Thursdays hold the Nyack Farmers Market in downtown Nyack. Not to be outdone, Piermont hosts a similar market every Sunday between May and December with the day’s freshest vegetables, bakery, pickled goods and much more in the M & T Bank parking lot. And a bit of a drive but still in Rockland is the Suffern Farmer’s Market. Nyack Street Fair www.nyackchamber.org . A spring and summer event with loads of booths and vendors. Antoine McGuires in Haverstraw www.antoinemcguires.com . Live music, a fresh oyster bar and a fabulous selection of local ales. Open Mic first Thursday of each month. Growler and Gill in Nanuet. www.growlerandgill.com Nanuet’s own craft beer pub, tucked behind the retail stores of Hwy 59 in Nanuet. Live music and all the hops you can handle. Hudson River Rowing. Several rowing clubs take advantage of the Hudson River for rowing activities. In Piermont, contact www.piermontrowing.org . River Rowing Association www.riverrowing.org . North Rockland Rowing Club www.northrocklandrowingclub.org . Rockland Boulders Semi-Pro Baseball in Pomona www.rocklandboulders.com . In their brand new multi-million dollar stadium, how could it NOT be fun! Rockland County has eight individual school districts and boasts a number of private educational facilities as well. The children here are served by one of the most successful public education systems in the state, with 92% of the county’s students attending an institution of higher learning after graduation. 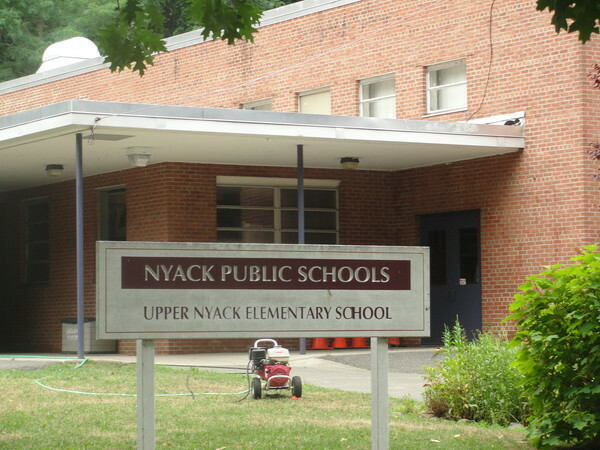 Blue Rock School is a progressive, independent day school serving students in Kindergarten through eighth grade, and is located on a beautiful, three-acre wooded campus in West Nyack, NY. As one of America’s largest and oldest Waldorf schools, the Green Meadow Waldorf School transforms the “student experience” from being solely intellectual into one that educates the whole child. The Rockland Country Day School is an independent Pre-K – 12 school that uses humanistic methods to prepare students for higher education. St. Thomas has expanded its offerings to include: a Master of Science in Education, a Post Masters Certificate program in Education, a Master of Science in Teaching, a Master of Business Administration program, a Bachelor of Arts, Bachelor of Science and Bachelor of Science in Education, and an Associate of Arts Degree. Sunbridge College is a registered and accredited college offering Masters and Certificate programs in Waldorf education and related fields inspired by the work of Rudolf Steiner (1861-1925). Close distance to Manhattan means convenient access to some of the country’s best schools, medical facilities, and hospitals. Prestigious NYU hosts many of the country’s best and brightest students. For a more affordable option, area residents enjoy the many colleges and campuses run by The City University of New York. Transportation needs are easily met with daily bus rides from Piermont to Manhattan’s Port Authority bus terminal. Domestic and international travel are facilitated by two international airports: JFK and La Guardia. Piermont is fortunate to not only be served by many outstanding health care facilities locally, but to be in lose proximity to hospitals in New York City, some of which are known to be the best in the world. The New York-Presbyterian Hospital, Bellevue Hospital, and The Mount Sinai Kravis Children’s Hospital are just a few of the world-class medical facilities available to residents of Piermont. The Sloane Kettering Cancer Center is renown for its advanced research and treatment facilities. The St. Jude Children’s Hospital is visited by patients world-wide seeking their outstanding services. The health care options in New York provide outstanding services in all specialties. 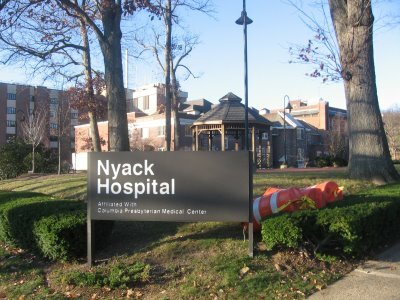 Nyack Hospital is a general medical and surgical hospital located in Nyack, NY. A charitable not-for-profit, 375-bed acute care medical and surgical hospital with a comprehensive diagnosis and treatment of all forms of cancer and a dedicated breast cancer treatment program. It is accredited by the Joint Commission. According to the most recent survey data, 44,109 patients visit the hospital’s emergency room; a total of 13,922 patients are admitted. Its physicians perform 7,914 inpatient and 8,707 outpatient surgeries. Additionally, Bon Secours Charity Health System provides the services of a Certified Home Health Agency, two long-term care facilities, an assisted living and adult home facility, the Active International Cardiac Institute and several other off-site medical programs. Over 1,000 physicians have privileges in the system. We serve over half a million people in a seven county area of New York, Pennsylvania and New Jersey. 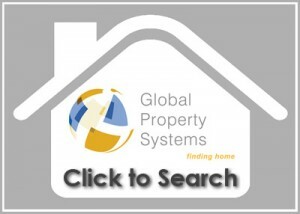 With an extensive array of facilities and resources, our system is second to none. As one of the country’s first physical rehabilitation facilities, Helen Hayes Hospital is widely recognized as a leader in rehabilitation medicine and research. For over 100 years, we have helped restore function to individuals with catastrophic injuries and chronic disabling illnesses, enabling them to move on to active, productive, independent and fulfilling lives. Its team approach to care challenges patients to reach their goals. The center supports patients with state-of-the-art equipment and technology and provides their families with the compassion and information they need to make recovery a reality. 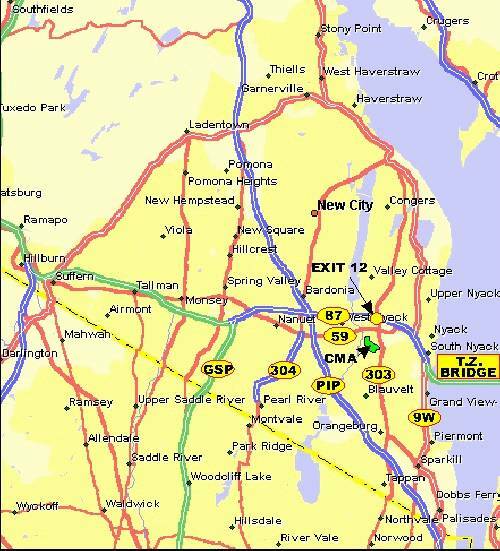 The above link connects readers to the Rockland County Transportation Department’s comprehensive webpage, detailing public transport in the area, with links and connections to purchasing tickets, trip planning and pertinent information. Piermont is located near the New York Thruway (Highways 84 and 284) which connect New York City to points upstate. Travelers can easily get to New York City via automobile, bus, and train. Commuter service for travel between New Jersey and Manhattan. Amtrak passengers enjoy service in more than 500 communities in 46 states throughout a 22,000-mile route system. Travel along the Northeast corridor – a great alternative to flying. Ferry travels between Haverstraw, NY and Ossining, NY to connect with the Metro-North train to Grand Central Station. Need something that I’ve missed? 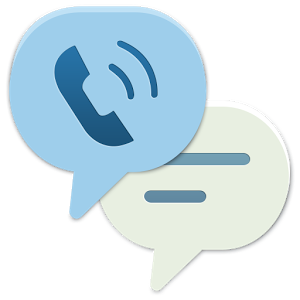 Contact me with your question and I’ll do what I can to assist. You can also visit our “Living In Rockland” page on Facebook for up-to-date events and information.